Tune in to The Graduates this Tuesday for an interview with Emily King from the Department of Integrative Biology at UC Berkeley. Emily is a PhD candidate whose research is focused on the New Zealand mud snail. RSVP info: RSVP by emailing jgmendoza@berkeley.edu by April 19. 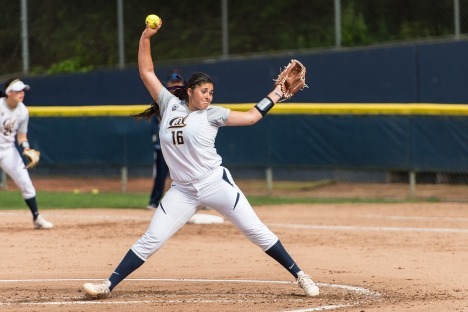 Cal Softball hosts Nevada at Levine-Fricke Field. We cordially invite you to attend our upcoming town hall meetings to discuss the exciting, interdisciplinary Signature Initiatives that emerged from the campus Strategic Planning effort. Multiphase mean curvature flow has, due to its importance in materials science, received a lot of attention over the last decades. On the one hand, there is substantial recent progress in the construction of weak solutions. On the other hand, strong solutions are—in particular in the planar case of networks—very well understood. Why do we have the version of Galois theory that we do – why, indeed, do we have Galois theory at all? This talk traces conflicting 19th-century visions of what it would be to solve, or better to understand, polynomial equations and finds the forgotten role of Felix Klein in promoting Galois's ideas in Germany and America. Associate Justice Goodwin Liu will present the Jefferson lecture on Tuesday, April 23, 2019. The lecture, entitled "State Courts and School Desegregation: New Perspectives on Judicial Federalism and the Myth of Parity," will be held in the Chevron Auditorium of International House and is free and open to the public. No tickets are required. This is a background talk on problems about indecomposable rank two bundles on Pn. We pay special attention to those that are limits of split bundles. For the pre-circulated reading, please e-mail catesulpizio@berkeley.edu. Join us for a book release event celebrating After the Death of Nature, by ESPM Professor Carolyn Merchant, edited by Ken Worthy, Elizabeth Allison, and Whitney Bauman. Contributors of the book will read brief passages and be available for signing. The 20th Annual Harvey Masonek Global Careers Symposium Dinner is a unique opportunity for undergraduate and graduate students who share a common interest in international careers and affairs to connect with professionals in this space. 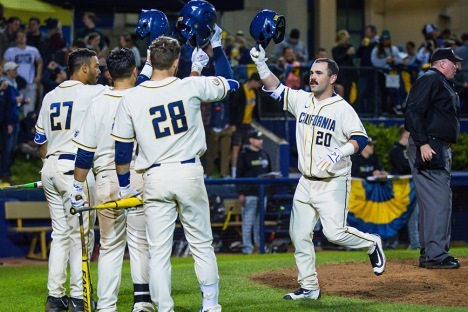 Cal Baseball hosts Men's Baseball vs. Sac State at Evans Diamond. The UC Berkeley students of German once again present a (mostly) humorous mixture of poetry, skits, and music in their annual cabaret program with texts by Robert Gernhardt, Ernst Jandl, Karl Valentin, Friedrich Hölderlin and many others. A poetic and playful celebration of the German language.